Dairy is a highly competitive industry, dominated by large multi-nationals. Despite this, there was a strong business case for dairy farming in Victoria's Alpine Valleys. With increased growth of 25% over the previous 10 years, the region had shown resilience, when other dairy areas had reduced yields. The Kiewa Valley produces 40-60 million litres of milk and the NE region can bring in 200 million litres (about 32% of the region's supply). 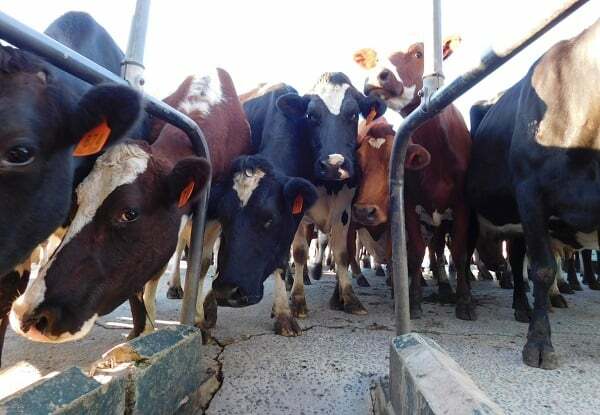 In 2016, one group (five families with a total of 2400 cows) was concerned that they would lose access to the Murray Goulburn processing site, threatening their livelihoods and indeed their whole community. It turns out their predictions were right. Pressure to demutualise MG was building. This also created an opportunity for these farmers, keen to keep the co-operative business model. Back then, 90 percent of local milk supply was processed by MG, creating an uncompetitive imbalance in the market. These suppliers needed an alternative, and there was local government support for employment investment. The groups' request to Farming Together: "We need help to analyse the market.There is a great risk in doing nothing. With the uncertainty and poor performance of MG, we must start exploring other options to regain some control. Our challenge is to understand the market opportunity at a smaller scale. So, what infrastructure and investment is needed to start our own co-op? What are our options to collaborate, and how do we begin?" “We wanted to have more control of our future and not be directed by outside interests.” Stuart Crosthwaite, fifth-generation dairy farmer, Mountain Milk Co-operative chairperson. Early days at Mountain Milk Co-operative. Making milk. Farming Together's needs assessment identified strategic planning and business case development as a priority. 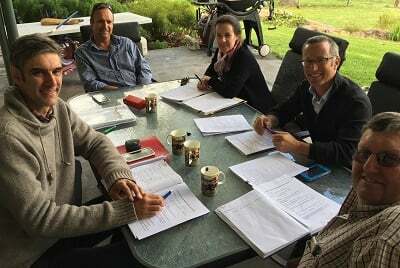 The group was assigned a highly experienced dairy business advisor. A cost-benefit, investment risk analysis and feasibility study was undertaken and a compelling market proposition, and co-operative vision was developed and put to the group. This identified: high supply capacity; potential for a strong local brand; a skilled workforce and strong distribution networks. The co-op has a preliminary milk processing agreement with Freedom Foods’ plant in Shepparton, Victoria from mid-2018, increasing to a projected 30ML-40ML by 2020. Co-operative members have agreed to work together with on-farm costs and issues. Closure of the local milk plant has been postponed. After its formation the cooperative hosted a public meeting at Dederang which attracted 70 local farmers and industry service providers. Many farmers registered an interest in joining the co-op. The Mountain Milk Cooperative is at the start of their journey. Their goal is to build the milk pool from 20-30 ML while continuing to develop market positioning. They are taking their first new members and exploring options for expanding their customer base.